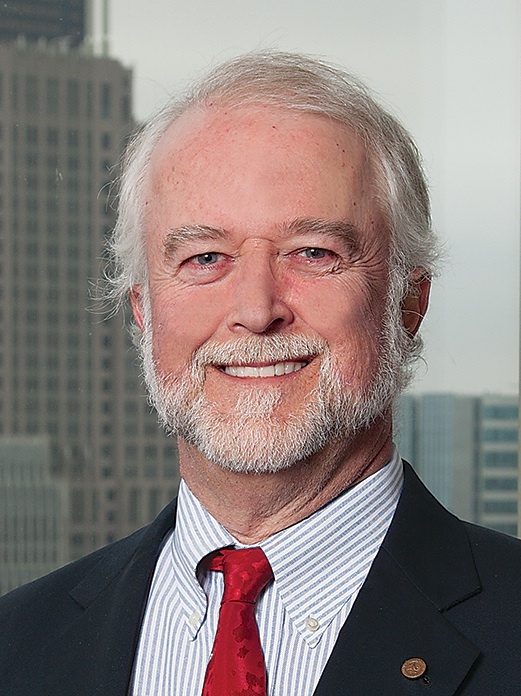 Mr. Daggett brings a combination of extensive and varied environmental law experience, and a multi-disciplinary academic background, to the service of his clients. Mr. Daggett holds a BS degree in Chemistry, a MS degree in Environmental Engineering, and additional post graduate credits in Toxicology, in addition to his Juris Doctor. He applies this multi-disciplinary background to help clients resolve lawsuits and transactions that involve a mixture of legal and technical issues. It also aids his handling of matters that require the selection and management of technical experts or engineering consultants. He devoted the first decade of his career to public service, spending two years representing the Illinois EPA, and then nine years representing the U.S. EPA, ultimately as Section Chief in the Office of Regional Counsel. During this period, he also served one year appointments as a Special Assistant U.S. Attorney (N.D.IL. ), an Expert Advisor to the U.S. State Department, and a Special Assistant Illinois Attorney General. Upon entering private practice, he served clients for over a decade as an Equity Partner in a 200-attorney Chicago litigation firm, where he was a co-chair of the Environmental Practice Group and a member of the Litigation Practice Department. During this time he worked with colleagues on a U.S. Supreme Court environmental case, winning a 9-0 unanimous victory. He has handled a broad variety of environmental litigation and counseling matters in Illinois, Michigan, Indiana, Ohio and Wisconsin, under the numerous federal and state environmental and health & safety statutes, including CERCLA, the CWA, RCRA, the CAA, TSCA, EPCRA, FIFRA, and OSHA. Member: Illinois State; Colorado; Denver; and American Bar Associations (Member, Environmental Sections in each); American Chemical Society. Biography: Equity Partner at Chicago litigation firm, Wildman Harrold, 1990-2003, associate 1988-1990. Section Chief, Office of Regional Counsel, U.S. Environmental Protection Agency, Chicago, 1979-1988. Special Assistant U.S. Attorney, Northern District of Illinois, 1982-1983. Expert Advisor to U.S. State Dept., Great Lakes Water Quality Agreement Negotiations, 1987. Regional Attorney, Illinois Environmental Protection Agency, 1977-1979. Special Assistant Illinois Attorney General, 1979. Author: “The Intent Element of a CERCLA Arranger Claim After U.S. v. Cello-Foil,” Toxics Law Reporter, Vol. II, No. 38 (February 26, 1997); “Steel Co. v. CBE: The U.S. Supreme Court Holds Citizen’s Suits for Past Violations Unconstitutional,” Environmental Litigation Committee Newsletter, American Bar Association, Vol. 9, No. 1 (1998).